We're here when water, fire, mold and sewage related disasters happen unexpectedly. We have 24/7 customer care specialists, as we act fast! We offer a max 60-min response time guaranteed as well as free estimates. If you have a High deductible, no problem. We photograph and document everything for your insurance company as well as negotiate for you, to make sure you have little or no out of pocket costs. It is our mission to provide fast relief from all disaster related situations, while providing the most professional customer service. Our technicians work quickly and carefully to alleviate your property damage with effective recovery knowledge and extensive experience. We are Licensed, Fully Insured and we are IRI certified Water, Fire, Mold, Sewage and Estimating Damage Recovery Specialists. We Specialize in Coating and Refinishing. Allowing you to keep renovating what you have. It is a safe eco-friendly way to not create more waist and also an optimal solution to save money and time. Instead of Replacing consider Recoating. We coat almost everything. From Bathroom Tubs, Enclosures, Shower Stalls, Hot Tubs, Jacuzzis, Vanities, Sinks, Floors, Kitchen Countertops, Kitchen Sinks, Cabinetries, etc. Real Estate Development and investment Firm, Specializing in acquisition and renovation of Mid Century Modern & Contemporary property. Our expert Emergency team are available 24 Hours 7 days a week, 365 days a year to attend to your problems, promptly and competently. Approved by all insurance companies for water damage , mold remediation, and crawl space cleanup. 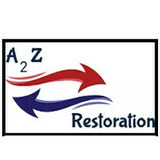 Certified, licensed, insured and equipped to offer all restoration services. 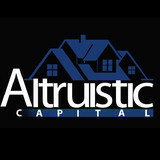 Independently family owned and operated. Everything is done by us to the highest quality. Our goal is to keep your home or business clean and fresh from A 2 Z. National Response Team is a damage restoration contractor serving the San Rafael, CA area. Services include Emergency Water Removal, Water Damage Restoration, Fire Damage Restoration, Smoke Damage Restoration, Mold Detection, Mold Removal, Flood Damage, Burst Pipes, Dry Out Services, Toilet Overflow, Sewage Cleanup, Disaster Cleanup and Puff Back Cleaning. We work with clients to discover the best path to a healthy, safe, efficient and comfortable environment. Our green building consulting focuses on creating healthy environments for young families and sensitive individuals. Services include healthy building consulting for new and existing buildings, LEED, GreenPoint Rated, and Living Building Challenge consulting. 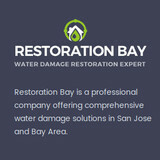 Delta Force Restoration is a water damage restoration serving the San Jose, CA area. Services include Water Damage Restoration, Emergency Water Removal, Fire Damage Restoration, Smoke Damage Restoration, Flood Damage, Dry Out Services, Storm Damage, Burst Pipe, Junk Removal, Carpet Cleaning and Mold Remediation. VIsit <a rel="nofollow" target="_blank" href="http://www.HepaAirScrubber.com">http://www.HepaAirScrubber.com</a> or call 800-391-3037 for lowest price and cost for Fremont CA Air Scrubber Rentals today! Red Sky Rentals provides comprehensive equipment rental solutions for all of your immediate disaster, water damage and fire restoration needs nationwide. Our portable air scrubbers are ideal for homeowners and contractors dealing with the effects of fire, smoke or water damage. We can quickly provide the disaster cleanup and remediation equipment you need! 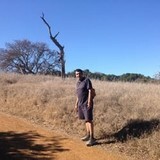 VIsit <a rel="nofollow" target="_blank" href="http://www.HepaAirScrubber.com">http://www.HepaAirScrubber.com</a> or call 800-391-3037 for lowest price and cost for Hayward CA Air Scrubber Rentals today! Red Sky Rentals provides comprehensive equipment rental solutions for all of your immediate disaster, water damage and fire restoration needs nationwide. Our portable air scrubbers are ideal for homeowners and contractors dealing with the effects of fire, smoke or water damage. We can quickly provide the disaster cleanup and remediation equipment you need. VIsit <a rel="nofollow" target="_blank" href="http://www.HepaAirScrubber.com">http://www.HepaAirScrubber.com</a> or call 800-391-3037 for lowest price and cost for Sunnyvale CA Air Scrubber Rentals today! Red Sky Rentals provides comprehensive equipment rental solutions for all of your immediate disaster, water damage and fire restoration needs nationwide. Our portable air scrubbers are ideal for homeowners and contractors dealing with the effects of fire, smoke or water damage. We can quickly provide the disaster cleanup and remediation equipment you need. VIsit <a rel="nofollow" target="_blank" href="http://www.HepaAirScrubber.com">http://www.HepaAirScrubber.com</a> or call 800-391-3037 for lowest price and cost for Oceanside CA Air Scrubber Rentals today! Red Sky Rentals provides comprehensive equipment rental solutions for all of your immediate disaster, water damage and fire restoration needs nationwide. Our portable air scrubbers are ideal for homeowners and contractors dealing with the effects of fire, smoke or water damage. We can quickly provide the disaster cleanup and remediation equipment you need. Hepa Air Scrubber Rentals of San Jose CA & Red Sky Rentals provide comprehensive equipment rental solutions for all of your immediate disaster, water damage and fire restoration needs nationwide. Our portable air scrubbers are ideal for homeowners and contractors dealing with the effects of fire, smoke or water damage. We can quickly provide the disaster cleanup and remediation equipment you need anywhere in the San Jose CA & surrounding areas! SRI was founded on the principle of servicing our community to help inform and better prepare a victim of a disaster with the knowledge and power to move forward knowing they had a company on their side from beginning to end. We're passionate about delivering an exceptional experience every time. SRI staff will be by your side from beginning to the end of your project. We believe in assisting a persons needs, not issuing a cookie cutter solution. There are no restrictions on our time spent with you or your family to find a solution to your needs. From the initial call you will be treated with the care and respect you deserve. We look to always provide the highest quality and friendly service. Our team is highly skilled and has years of experience. Most of our employees have been with us for over 10 years. They love what they do and helping people one family at a time is what we strive for, from Water Damage Restoration to the full service rebuild. We’re committed to providing you with the highest level of service, so you’ll always choose us again and again for your construction or even your restoration needs. We know that a fire or water loss and even then simplest remodel will upsets your life and is not fun or convenient. So, we want make the process as easy and enjoyable as possible for you. We genuinely care about your project and your experience, and it shows. SRI has aligned its self with some of the industry's leaders to always ensure that no matter the loss, SRI will find a solution. Find environmental services and restoration professionals on Houzz. Narrow your search in the Professionals section to Union City, CA residential environmental testing and home disaster restoration services to find a list of qualified professionals. Read through professional profiles for information on qualifications, experience and services provided.